﻿Traditioneel openen we het COUNTRYfestival met een tribute aan de legende Johnny Cash. Ook deze keer hebben we weer de gepaste band gevonden in Sint-Truiden. Kris Beets en zijn kompanen brengen met BIG CASH BEATS een ode aan The Man in Black. Born and raised in Lockhart, TX, East began crafting his signature style while playing in his family band. Determined to make it in the music business, East and his family relocated to Nashville in 2006. It wasn’t until East lost his Dad to cancer that he began his journey into songwriting. His songs soon caught the attention of legendary award winning songwriter, Harley Allen (The Baby, My Last Name, Tough Little Boys, etc.) Harley saw something special in young East and signed him to his first publishing deal. East found a true passion in writing songs and Nashville artists started to take notice. His songs have garnered him cuts with artists like Rascal Flatts, Tim McGraw, Dierks Bentley, Dailey & Vincent, Joe Diffie and many others. Making a name for himself in the songwriting community, it wasn’t just his songs that gained the attention of some of Nashville’s most powerful decision makers. In May of 2015, John Marks, the Global Head of Country Music for Spotify, heard East perform at a music festival and immediately reached out about adding his material to the Spotify playlists. In August of 2017, East released his first single to Spotify and within 4 months gained over 1.5 million streams. His new single, "Roller Rink" was released in July of this year and the new video will premiere on CMT August 16th. He continues to make new fans everywhere he plays and build on this momentum. Away from the music scene, East is very passionate about issues concerning mental illness. He hopes to be a part of changing the public stigma that prevent people who deal with this disease from engaging in needed mental health care. 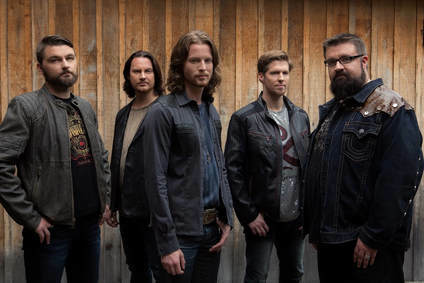 ﻿The all vocal (a cappella) country music sensation Home Free is bringing Nashville country standards and country-dipped pop hits to town (and having a great time doing so). The band comes to town on the heels of their most recent full-length album release, TIMELESS, bringing with them new music, new jokes, and new production.Home Free has become a household name, amassing more than 225-million YouTube views, and entertaining more than 300,000 people live in concert since bursting on the national scene in 2013. The 5-man band has become known for their show-stopping performances that mix their signature no-instrument, all-vocal music with their quick-witted humor.